Once the ink dried on Alex Cobb‘s four-year/$57 million deal with the Baltimore Orioles, several reports surfaced that the San Diego Padres were deep in discussions with Cobb until the last minutes before he ultimately signed in Baltimore to remain in the AL East. It is not clear how deep the team was in conversations with him or if an offer was ever made to the right-handed pitcher. But it’s still intriguing that the Padres were eyeing Cobb this late into the Cactus League season. We heard these rumors also after Jake Arrieta signed with the Phillies a few weeks ago. The Padres were in contact with Arrieta as they were interested in the pitcher to some extent. Again, we don’t know if an offer was made, nor do we know how serious the club was about signing either pitcher. 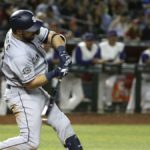 Perhaps the Padres were doing their due diligence in speaking to players whose value had gone below fair market value. Both Arrieta and Cobb signed deals after their value took a significant hit during this winter. If their price dropped far enough, maybe the Padres were prepared to pounce. 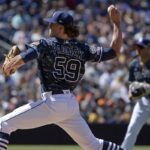 With the emergence of Joey Lucchesi and Eric Lauer, do the Padres really need starting pitching? The answer is yes, but the necessity is not as glaring as you would think. Sure, the Padres would like a young, healthy, established starter to be labeled as the “Ace” of the staff. Someone who provides leadership to the youth, while at the same time performs every fifth day. Clayton Richard has taken the role of ace for this team, as he is a great mentor for the young hurlers, but he just isn’t capable of being dominant each and every fifth day. He will have hiccups now and then as he relies more on moxie than “stuff” on the mound. 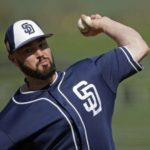 Richard is still very serviceable for this young team, but the Padres seem to have visions of teaming him with another veteran hurler atop the rotation. Tyson Ross fits that mold right now. 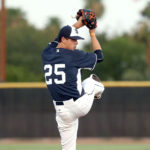 He has been healthy in the spring and has shown some ability on the mound. However, expecting him to show that the whole season would be optimistic to say the least. 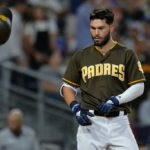 Ross should make the team in some manner, but given his age and the seriousness of the surgery he is recovering from, Tyson Ross should not be relied on for a heavy workload. With that being said, the big right-hander is capable of big things in 2018. To write him off would be unwise. 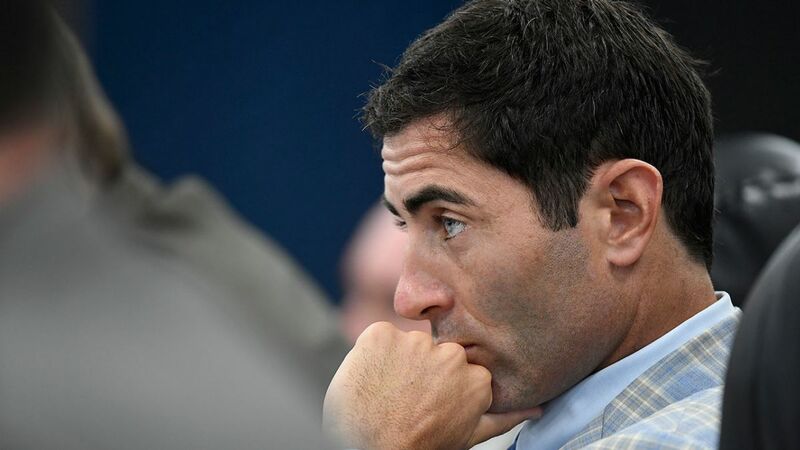 At this point, the Padres will continue to do their homework when it comes to signing or acquiring a starting pitcher. If you are looking for some more potential names for the Padres to kick the tires on soon, you are in luck. Let’s review some names to keep an eye on. Next With Dinelson Lamet Going Down, Is it Time for Lucchesi? Archer has never been anything more than a .500 pitcher. He has regressed over his last two seasons. Advanced stats like Fly Ball rates, walks per 9 innings, HR’s per 9 innings. His WAR the last two seasons have been 2.0 in 2016 and 1.3 in 2017. Now you are right the Rays have been on a slide since making the post season since 2013. Getting into his game logs since his first full season in 2014 he has faded badly over the 2nd halves of the seasons since. Yes he pitches 200+ and gets 220+ SO’s per year but he is not the Horse you can ride into the Postseason, and then excel once a team gets there. To me that is what an ACE is. Looking at the projected cost in trade value, we are talking about a 4/5 for 1 type deal that would decimate our current Top 10 prospects. A package centered around Renfroe and say Quantrill would not even be close. 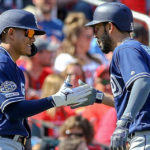 Tatis would have to be invloved plus more. He has a team friendly contract and the folks at Fangraphs think very highly of him over the term of that deal. I say let him stay in Tampa Bay. Let’s get another year under some of our younger players and they might increase their value and if our pitching prospects don’t deliver the anticipated results we can make a move in the future. IMO, we have 4 or 5 arms in our system that project better than Archer. Time will tell. I wouldn’t bother with any of these options mentioned. Archer yes but like you said to step of a cost. Stick with what they got this year. There’s no need to jump the gun on a flyer unless they can grab someone on the relative cheap through trade or waivers with upside. I can’t believe you are on this we need more pitching bandwagon also. Archer is the ONLY so-so arm on your entire list and his trade package needed from the Pdres would be way over the top. We have better veterans in camp now than anyone you mention stil available in FA in Ross and CY. We have pitchers coming back from injury in Erlin, Rea, and Strahm. We have two kids now who could start tomorrow in San Diego but will get held back to see what else these other options can do. Mitchell doesn’t excite me at all, he got lit up on TV last night. I find it funny that you consider Archer a “so-so” pitcher. Put him in the NL West, and he’d dominate. I wouldn’t advocate trading for him though. I agree with you, the vets they have in camp are better than what’s available. 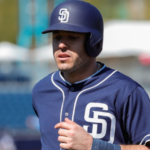 Besides, if the Padres were to bring one of those guys in, they should’ve done it earlier in March. It’s too late now. You’ve got to go with what you have.